Five Things Friday: not every Friday, not always five things. An ever-changing assortment of favorites, oddities, announcements, discoveries, random thoughts, life tidbits and whatever else wasn’t quite long enough for a real post. 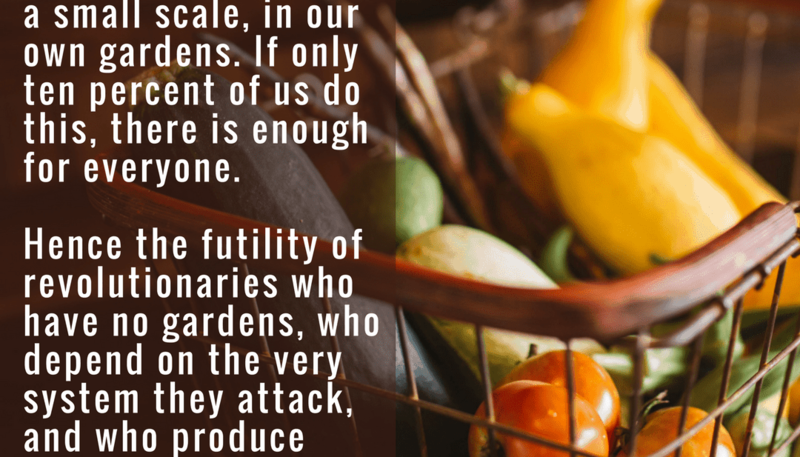 This week’s randomness: speaking up vs. dropping out, peaches and berries, butternut squash vs cheese, why you need a food processor, why your anxiety is not helping anything, the futility of revolutionaries without a garden and more. Fruit-explosion! The plums have (thankfully!) 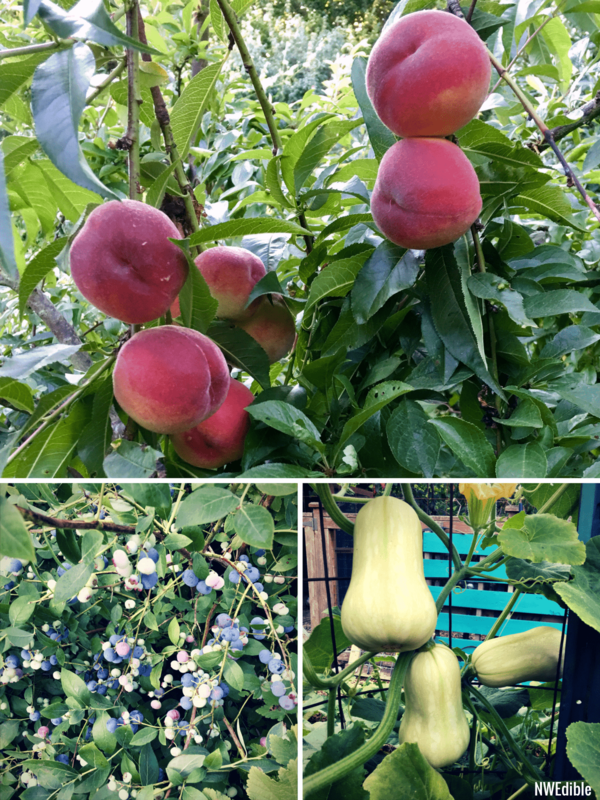 calmed down, but peaches, pears, blueberries and blackberries are all coming on strong. I also love the how the winter squash is growing – lots of lovely butternuts hanging off my winter squash trellis. Articles and miscellany from around the web that I came across recently. If it’s on this list, it made me laugh, gave me pause, or convinced me to hit the “share this” button. I watched in bewilderment while a man tried to return butternut squash because he thought it was cheese (SB Nation) The customer is not always right. I laughed so hard I nearly cried. Return of the Oppressed: History Tells Us Where The Wealth Gap Leads (Aeon) Very long form essay by Professor Peter Turchin on the cyclical nature of inequality and intra-elite competition. Very useful information if you want a clearer “big picture” view of how socio-economic and political trends crash together. 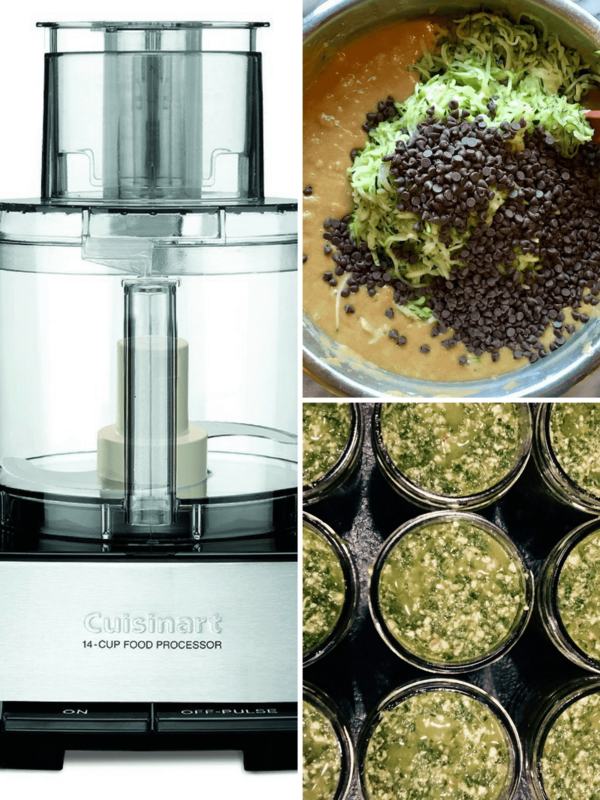 This week’s giant food preservation push is brought to you by….my food processor. There are very few weeks when I don’t use one of my two Cuisinart food processors, but this week they both were in play nearly every day. From shredding zucchini for baked goods to chopping walnuts and basil for pesto, I honestly think I only survived this week’s harvest because of my food processor. Srinivasan makes the argument that at both the corporate and national level, people change the system in which they operate through either “voice” – changing things from within – or “exit” – opting out for a different system entirely. Fascinating stuff, if (like me) you happen to be interested in volunteerism, political science, and the disruptive nature of technology. “The greatest change we need to make is from consumption to production, even if on a small scale, in our own gardens. If only ten percent of us do this, there is enough for everyone. Ok, friends, that’s it for this week’s Five Things Friday. I hope your weekend is calm and your garden is overflowing. Previous Post: « Is It Safe To Sterilize Or Keep Canning Jars Warm In The Oven? What type of peach tree do you have and is it up against your house and under cover or is it out in the open? Your butternut squash are a thing of beauty! And thanks for the silly story about the butternut vs. cheese. I also laughed till I cried. The article on anxiety confirms I was right to deactivate my Facebook several months ago, that is exactly why I did it. Good share this week! Thx! I too want some specifics on how you succeed with peaches. Variety, growing conditions, everything. Congratulations on getting peaches! The cheese man story explains much about USA politics. I will not elaborate, we are all trying to stay friends here. 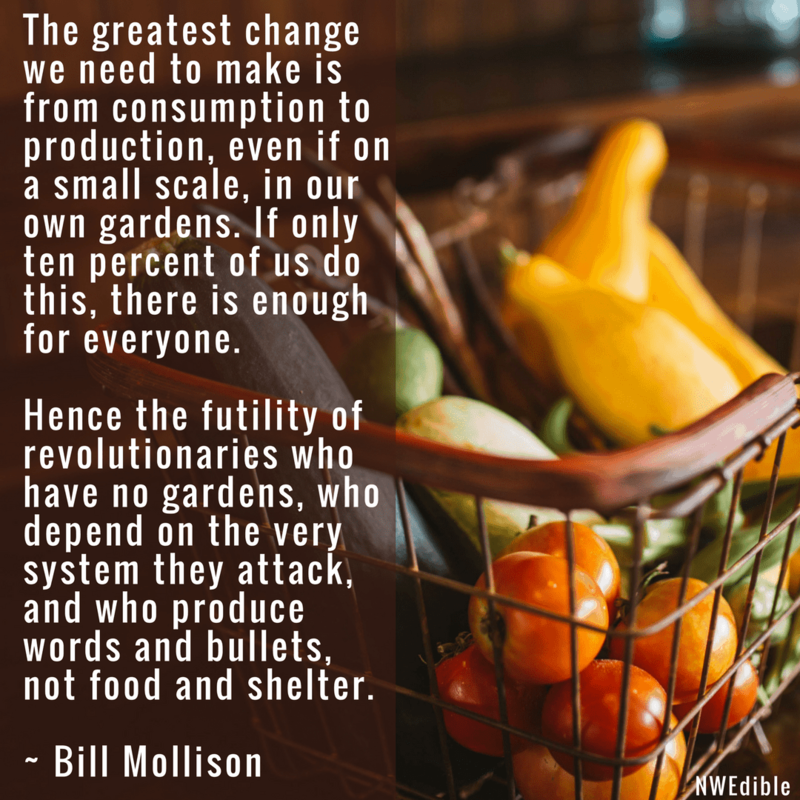 Thanks for the food for thought recommendation, and I love the Bill Mollison quote, though we don’t all have to be gardeners. Some of us can be taylors, musicians or story tellers. As long as we make something. I read the cheese/butternut squash article at work and could not contain my laughter, fantastically amusing while resonating sadly with the change in our culture. I’m thankful every single day I am no longer in customer service. Beautiful quote. Every year I’m amazed at how much my garden gives me, a stronger and healthier body, closer relationships, more connected community, a moment of peace watching the bees, new challenges, new successes, oh and the food or course. A tool I’m appreciating is my Hula Ho. I first read about it here in a post from January 2016, which I read early this past spring when I was finally getting to be closer to being up-to-date reading the blog. It sounded perfect for my veggie garden – a 30′ x 45′ patch in the country – and I just want to say that it’s been fabulous this year. It’s made looking after the weeding a relative breeze. I got mine from Lee Valley (Canada, but they sell in the USA too). So thanks, Erica, for the recommendation way back then.